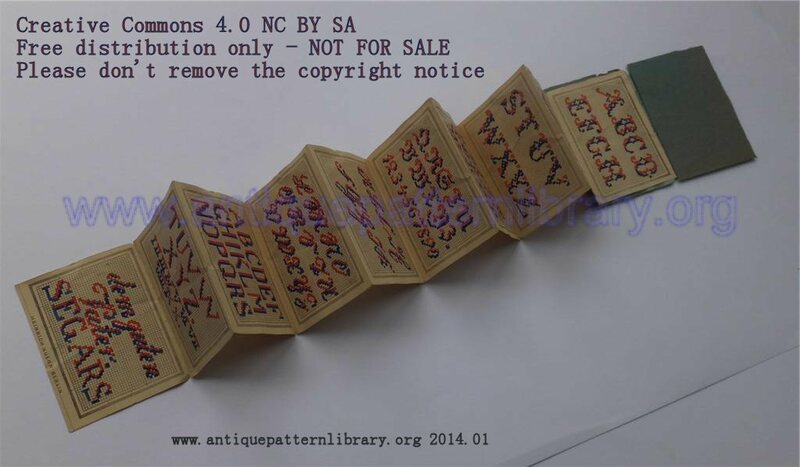 Photograph of fold-out booklet containing ten charted alphabets for cross-stitch. Hand painted in two colors. Narrow serif, Blackletter and script. Images by permission of ebay seller whirlycat, charted by Sytske Wijnsma.